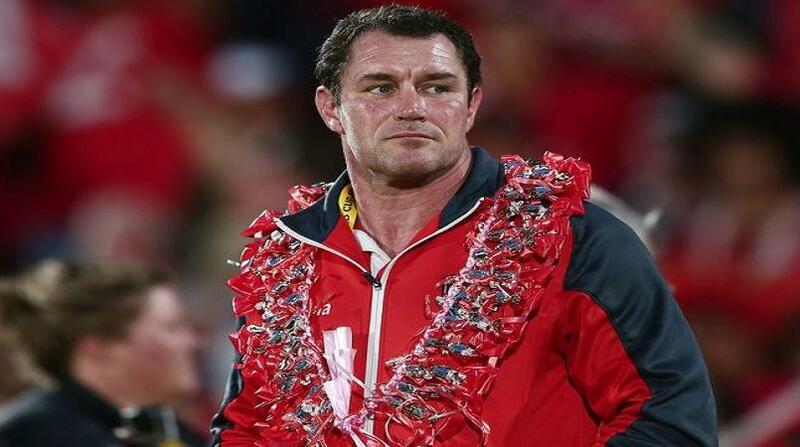 Tonga's rugby league coach Kristian Woolf says he has put no pressure on any of his players to make themselves available for their scheduled June international against Samoa. The match will take place the same weekend as State of Origin Game Two and players like Andrew Fifita will have a big decision to make in terms of who they play for that weekend. NSW captain Boyd Cordner said he won't push Fifita into playing for the Blues this year, with the prop still being the undecided on his representative future. Earlier Fifita's Cronulla team-mate Paul Gallen had urged him to make a decision sooner rather than later to aid NSW coach Brad Fittler's preparations for the series. Fifita has said he could leave it until Origin week to decide. Woolf said he understood the conflict and how hard a decision it would be but he would leave it up to individual players to decide. He said he didn't question Fifita's commitment. "One thing I know and I think he showed in the world cup the sacrifice that he was willing to make and obviously the way he committed to the Tongan team, that he is very, very committed to representing Tonga," Woolf said. "But the one thing that could deviate that a little bit is the lure of Origin and the profile of Origin and obviously the benefit financially of playing Origin too. "I think he is genuinely torn now and it is a tough choice for him." Woolf said other players like Felise Kaufusi also have a similar choice to make. He said blockbuster forward Tevita Pangai Jnr had already made a decision to represent Tonga over NSW this year. Despite the prospect of being without players like Fifita and Kaufusi the Tongan coach said he had no problem with the scheduling conflict. Woolf said he had been around the NRL for years and understood why the weekend fitted best with the club season. "The NRL clubs at the end of the day are the ones who financially support the players the most," he said. "They also look after and pick up any of the medical costs and the rehab and if players get injured playing international footy, they are the ones the get hurt the most as well. "I do understand that they get very protective of the players and trying to find time in the year where international footy has the least impact on NRL clubs is really, really difficult," Woolf said. He said it made sense to have representative rugby league played all on the same weekend to minimise the disruption to clubs.